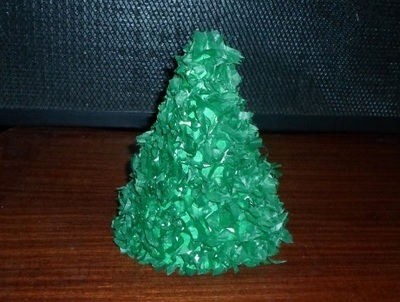 The technique used to make this tree is a little time-consuming but the effect is worth the effort. 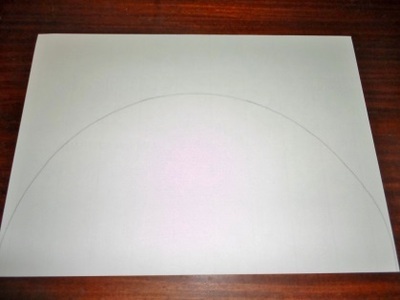 Using a compass, plate or other method, draw a semicircle on your paper. Cut the semi circle out. 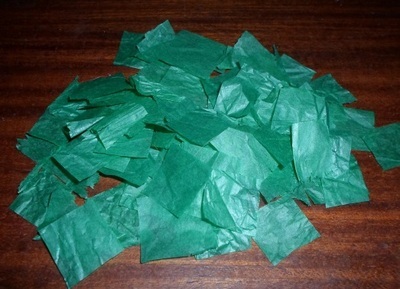 Rip or cut pieces of tissue paper into small squares around 1.5cm x 1.5cm. 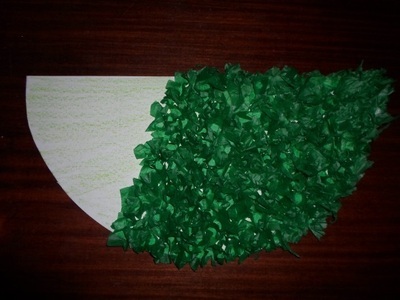 Mould these pieces around the end of the pencil. 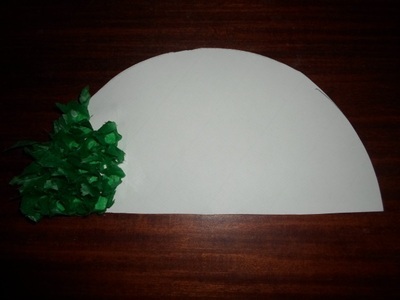 Fill up around 2/3 of the semicircle using this technique, trying to be as compact as you can so there are no white spaces. 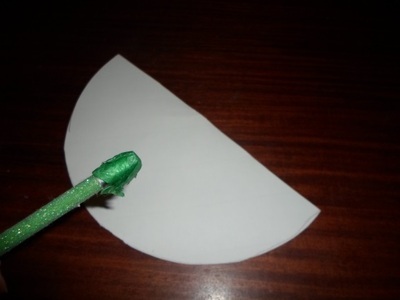 Glue the empty 1/3 to the inside of the rest of the paper to create a cone. 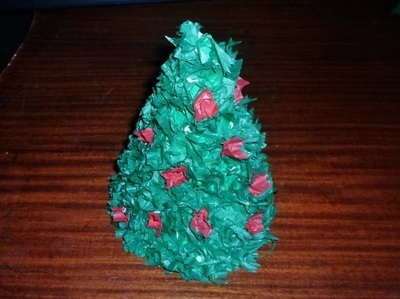 Decorate the tree however you like.